I don't often document the myriad of little projects I do, mainly because I don't see them as anything special. These quick projects are generally me throwing something together because I need something immediately and I generally don't put a ton of thought into them, I just sit down and do them. I figure I should probably get in the habit of documenting things so I'm starting to go back and take the time to post some of the smaller projects that I've done or am working on. 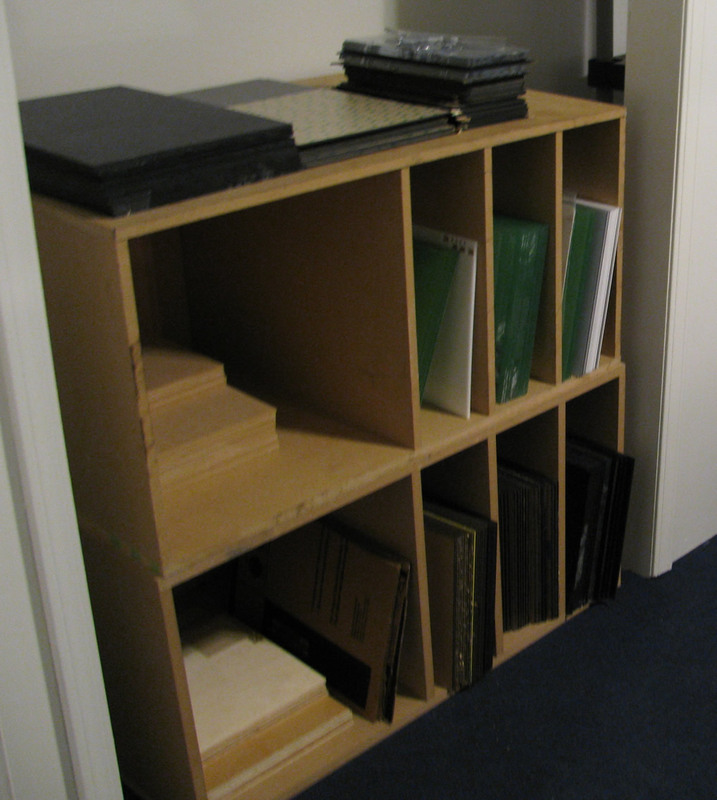 One such example is my stock storage shelves, which I'm covering in this post. When I got a laser cutter I needed something to store all my laserable materials in so I hurriedly built some simple stock storage shelves. They're cheap, easy to build and modify, and each can be constructed from a single 4'x8' sheet of material. Thickness shouldn't be too important unless you plan on stacking them more than 2 units high, but I wouldn't plan on using anything less than 1/2" with the construction method I used on these. 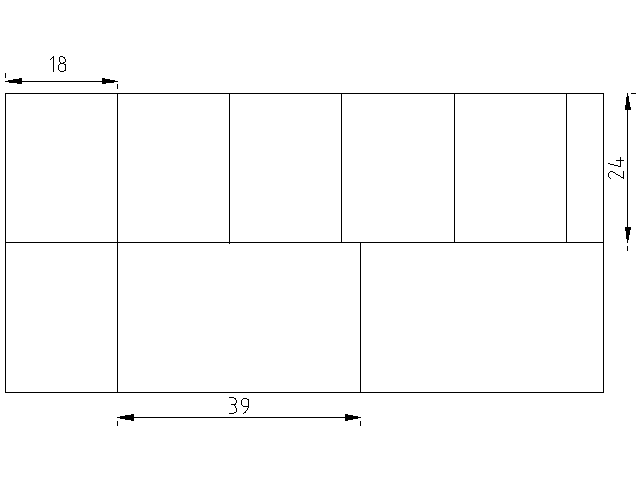 For reference unit on top in the above pictured is constructed from a sheet of 1/2" thick MDF and the one below it is constructed from a sheet of 5/8" MDF. All the dividers are 18"x24" (6 total) and the top/bottom are 39"x24". Why 39" wide? 3.25 feet is close to the maximum width I could make them and still fit the pre-cut parts into my trunk easily. Construction is pretty simple, just box things up using the corner clamps to hold everything in place and join each edge with 4-5 countersunk screws. You can space the dividers out any way you want for your particular application. You can do a number of things to make this sturdier overall as well, including adding bracketing or a thick backing, either by using pieces of one of the dividers at the corners or by cutting an additional piece of MDF to fit across the back. I added a sheet of 1/4" MDF to the back of both of my shelves to prevent stuff from falling out the back and to make them look a bit nicer. I'll probably need to build another one in the coming months and I'll try to take pictures of the construction this time! This entry was posted on Sunday, November 21st, 2010 at 8:42 pm and is filed under Quick Projects. You can follow any responses to this entry through the RSS 2.0 feed. You can leave a response, or trackback from your own site.